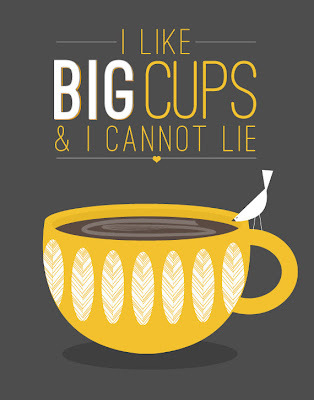 After a day spent in the studio making big cups, this poster brought a big smile to my face. The Etsy Seller, Noodlehug, offers this print in several colors. I’ve got just the spot for the print I ordered in the studio.